Is It About Time for a Natural Hair Transformation? The natural hair community is known for following strict hair regimens. This includes daily deep conditioning, no heat, and staying away from permanent hair colors. All of these rules can be overwhelming and leave you limited to self-expression and experimenting if you allow them to. You do not have to follow these rules. Yes, some of these rules are the basics and will actually improve the health of your hair, but just know that it is ok to take risks. Experiment with the silicone conditioner that you have had your eye on at the drug store for weeks. It is ok if you want to straighten your hair for the first time. That bold hair color that you saw in the magazine and have been craving to try, go for it! Need a little inspiration? Naptural85 has recently experimented with a new cut and hair color! 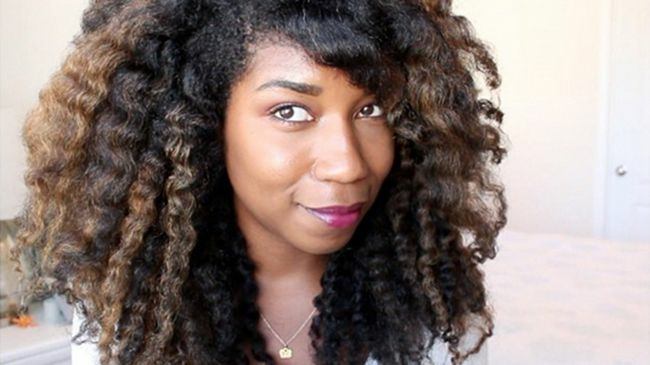 If you have been a follower of Naptural85, you know that she has a simple hair routine and her dark coils made us fall in love. She wanted to experiment with hair color and she went for it! It looks awesome on her and she shares her salon preparation tips, balayage color + stylist on her channel. Natural Chica also experienced a recent natural hair transformation with her new cut and color. She decided to big chop her hair for the second time and chose to donate her locks. So are you feeling inspired and ready for change? Here are some steps that can help along the way. Take the time to research what you want to change. If you want to straighten your hair, research products and the best practices to help minimize the potential for heat damage. Want to change your hair color? Research some salons in your city for an awesome colorist and bring a lot of photos of your desired look! Do not rush the research stage. It gives you a chance to weigh the pros and cons of your decision. Once you feel comfortable enough, take the risk! If you feel that you received the information that you need during the research stage, proceed forward and do not look back. Book your next appointment with your stylist to get that desired look and buy those products that you have been waiting for. Take this as a learning experience. You will either love it or hate it. Regardless, you have learned from the experience and you will know whether you see yourself doing it again or not. Try not to have any regrets. Remember, this is a natural hair journey. A journey has valleys and peaks. You have to make the best of each experience. What desired look have you been dreaming of? What is holding you back from your favorite look?